Readers' Choice 2018: Bakery/Bagel – J.
San Francisco winner Frena, a kosher bakery and cafe, specializes in pastries, using some of the recipes Grandfather Mosheh carried with him from Iraq to Israel. Specialties include such savories as burekas and sambusak, a Middle Eastern filled pocket bread. On the sweet side, there are halvah and chocolate puff pastries, rugelach, doughnuts and croissants. House of Bagels brought its recipe from Brooklyn to San Francisco in 1962, boiling the bagels in water before baking them on stone. The shop, which houses a New York-style deli, bakes its breads daily, including challah and rye, as well as its cookies, and cragels. 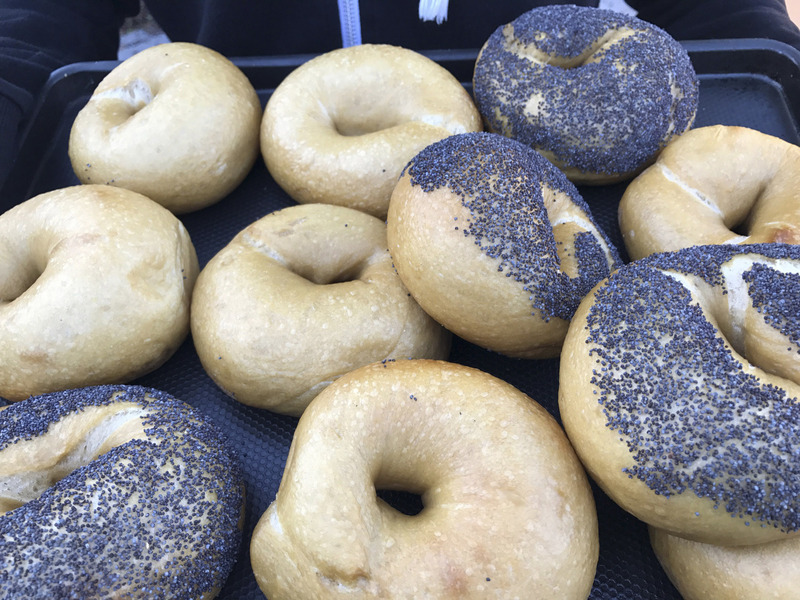 Beauty’s Bagel Shop in Oakland, with a second location in the works, takes its inspiration from Montreal, “where bagels are rolled by hand, boiled in honey-sweetened water and baked in a wood-fired oven,” according to the website. Beyond the bagel, Beauty’s offers smoked trout salad and organic fried chicken. Izzy’s, a popular kosher eatery in Palo Alto with an East Palo Alto branch, offers 17 varieties of Brooklyn-style “unassimilated bagels,” according to the website, plus lox, shmears, salads and cookies. It also serves breakfast and lunch, and caters at homes, synagogues and Silicon Valley businesses. Lucky for us that New York Bagels is actually much closer to home, located in Mill Valley. Features breakfast sandwiches, nine choices of shmears, lunch fare including chicken sandwiches and bagel dogs.